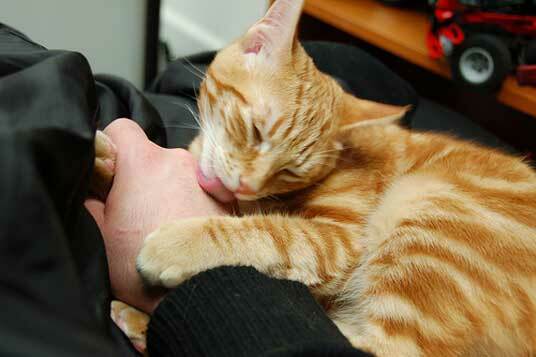 It is indeed a sign of affection when a cat licks you. 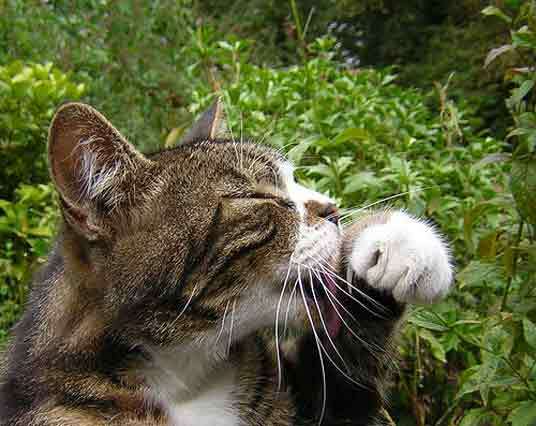 The photo above is typical - the cat steadies your hand in its paws and then scrapes its tongue over your skin...there's no escape! 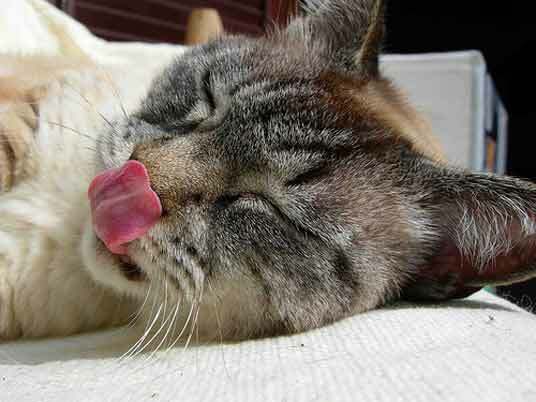 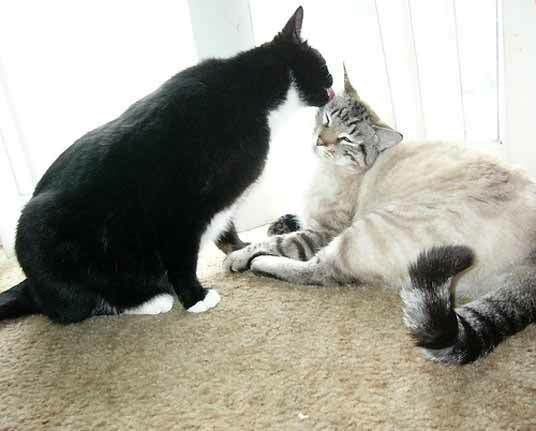 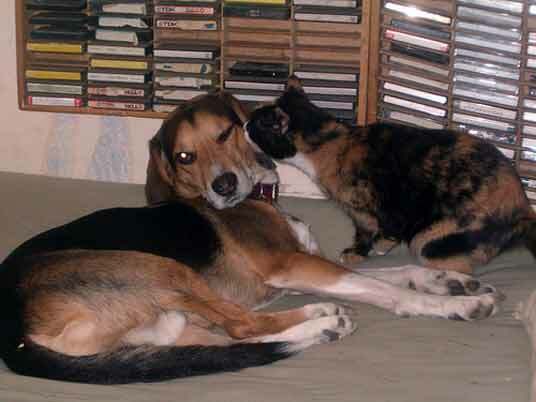 Cats enjoy licking themselves as well, and those of us who own dogs are grateful that our cats are so self-maintaining. 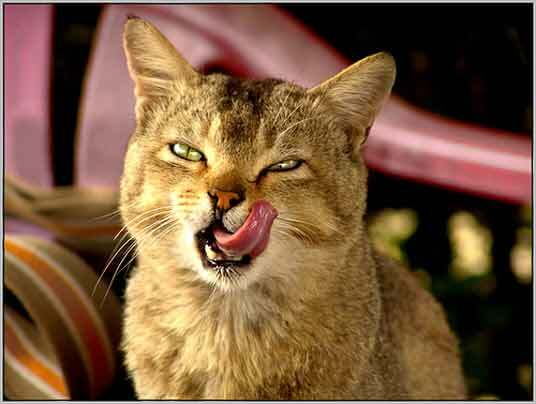 I love how a cat focuses while licking. 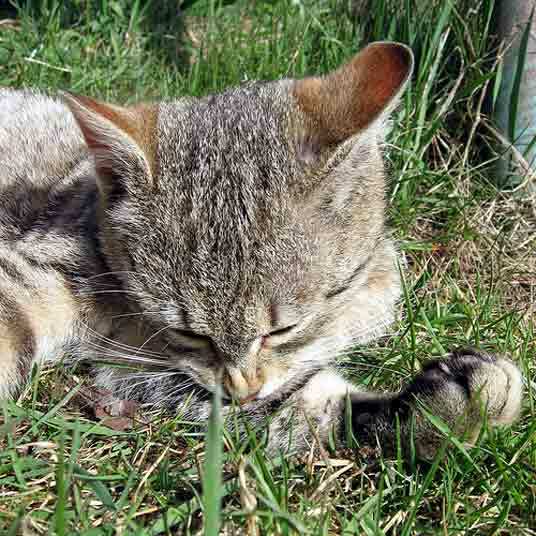 The eyes close to block out any other sensory information while it concentrates on task at hand.